The season of celebration is well underway. Many of us here at Bowen & Company are putting the final touches on our holiday plans, with Christmas two weeks away and Hanukkah already begun. If you are celebrating The Festival of Lights this December, there’s still time to dazzle your friends and family with some of these inspired ideas. 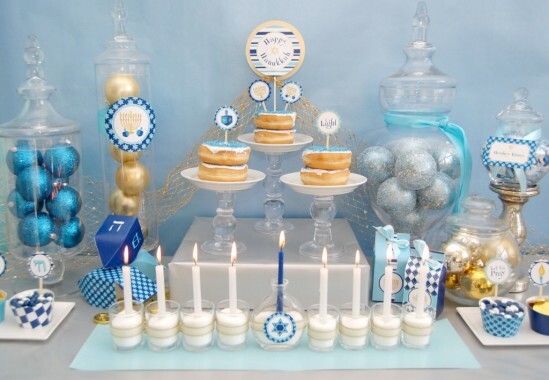 The menorah is at the center of the Hanukkah tradition, so why not make your menorah the centerpiece of your table. Many families have traditional menorahs that have been passed down through the generations, but if you’re looking for something a little more modern, try creating an illumination of your own design. 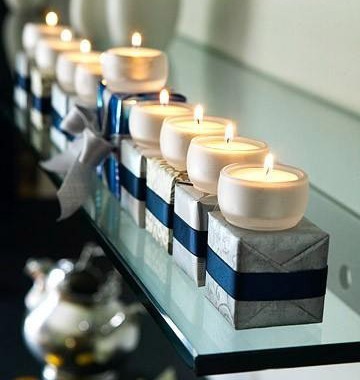 This one (featured on Apartment Therapy’s blog) uses votive tea light holders and festively wrapped boxes. Entertain your guests by incorporating games into your table setting. 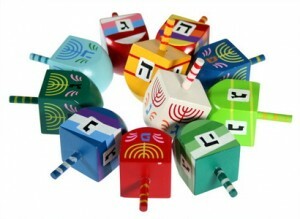 Hand-painted dreidels at each place setting add a pop of color and amusement for guests of all ages. 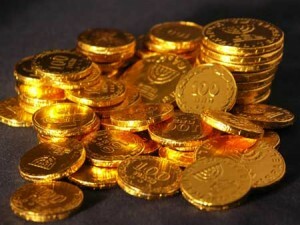 Traditional gelt, or chocolate coins, can be on hand for prizes. Try printing the rules of the game on the underside of place cards, so guests can flip them over and join in the fun! There’s something special about your host setting a special place for you at the table, an extra bit of care to make sure you enjoy the conversation and company. If you’re up for getting crafty, impress your guests by making your own place cards. 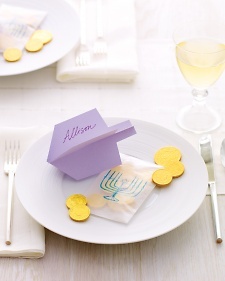 We love these dreidel place cards on Martha Stewart, which miraculously require no tape or glue! It’s holiday magic. 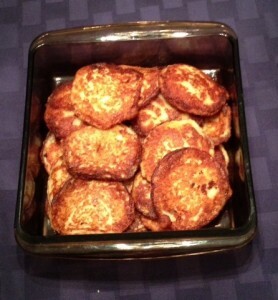 The staple dish for any Hanukkah dinner is the potato Latke. There are endless recipes for this traditional holiday favorite, so why not shakes things up and treat your guests to something new this year. 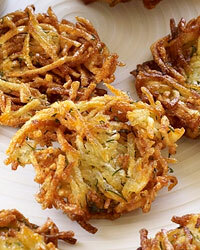 If you prefer shredded potatoes, here’s a delicious recipe from Food & Wine’s Gail Simmons (pictured left). If you prefer mashed, Bowen & Company’s own Michelle Kupersmith found this recipe from food.com that reminded her of her Mom’s recipe (pictured right). At the time of press, Michelle was unable to convince her mother to relinquish the secret family recipe. We’ll keep trying! Guests love a parting gift. After all, who doesn’t appreciate the opportunity to peel open a lovely little giftwrapped surprise? But, with hostess gifts to bring, party favors, and guests who may want to exchange gifts with each other… it can get pricey. 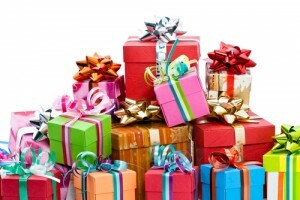 Borrow the budget-friendly “Secret Santa” tradition popular with office parties, and create a grab bag. Encourage guests on the invitation to bring a wrapped gift to give away, set a price level appropriate for the group, and make sure to have a few extra little goodies on hand just in case someone forgets. If there are plenty of children on your guest list, you can even encourage kids to bring for kids and adults to bring for adults with a collection box for each. You’ll ensure everyone leaves your party feeling special.